In order to display leadership skills in your daily life, you have to continuously work on becoming a better person. I speak from experience, it can be so difficult at times. A title doesn’t make you a leader. Your actions do. I know that you are busy every day. There are a lot of demands coming your way. The work hours are never enough to finish all your tasks and often you may still have to work at home or at least check your emails. Do I get that right? 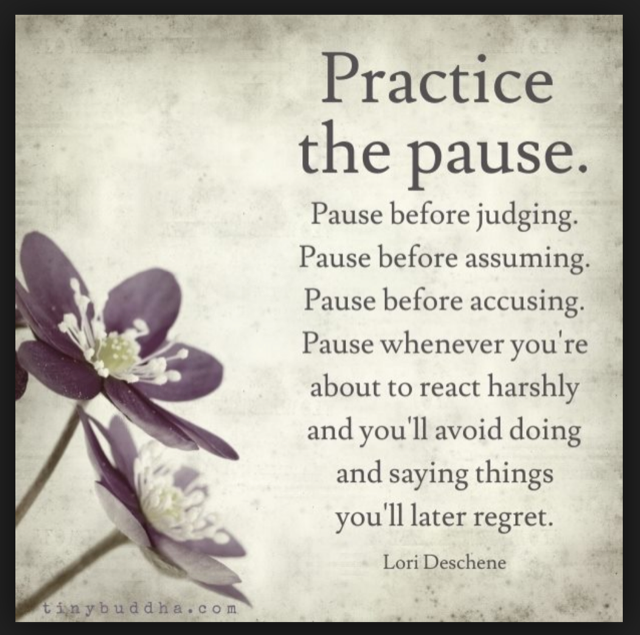 Having said this, I encourage you to practice the “PAUSE”. Make every opportunity a learning opportunity. This pause will help you that you don’t fall into your “default reaction mode”. Once you learn how to pause, you will then be able to respond more consciously. Just remember the tremendous power you have by pausing and stopping yourself from doing something that you may regret later.